Breakfast burritos, for sure. When I make them at home I pan fry the tortillas so they get a little bit crispy. Mmmm. Okay, why are you making me choose. That is just mean. I’ve always wanted to go to Alaska. Then there’s the Galapagos Islands. Maybe Ireland because my next book is going to be set there. 3. Who is someone who inspires you? 4. What was your least favorite class in school and why? Statistics. There were three things working against me: My teacher not only had a speech impediment, but English was his second language. I would have rather sat through organic chemistry than study statistics. And the class was at 7 or 8 a.m. and really, what college student can be up and attentive at that hour? 5. Are you an optimist, a pessimist or a realist? Optimist, for sure. Although, I do like to complain, but in a funny, upbeat way. 6. What is your favorite movie quotation? 7. Who wins the cuteness battle; dogs or cats? 8. Which celebrity annoys you the most? Kim Kardashian for obvious reasons. Wait, is she a celebrity? Eeek. You’d think with only four to choose from this would be easy. It seems I always like the season that is about to start. Like right now I’m looking forward to fall. Changing leaves, carving pumpkins, eating pie. Yep, I’ll say fall. Probably dancing like a zombie to Michael Jackson’s Thriller. You know, one of those things you do at a wedding. 1. What is your best summer memory? 3. Have you ever put an empty carton of milk/juice back in the refrigerator? 4. Which bug do you like better: Roly Poly (pill bug) or Ladybug? Why? 5. Who is the person who makes you laugh so hard soda comes out of your nose and tears stream down your face? 7. Do you ever hide from door to door salespeople? 8. When do you decide it’s time to get gas? 1/2 tank? 1/4 tank? Warning light has been on for 10 miles? 10. If you could time travel would you go to the future or the past? 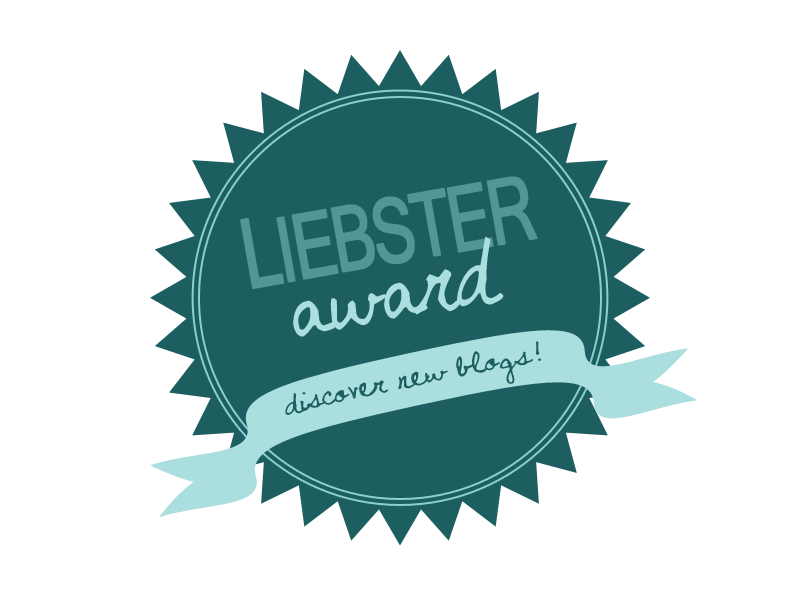 Wow, thanks for the Liebster nomination! Now I need to get to work on those questions – what fun! Thanks for the technical clarification. Although, you commented under the wrong post, so maybe I can come help you use that computer thingy right.